The annual Tameside Careers and Apprenticeships Exhibition took place on Thursday 21st June 2018 at Stalybridge Civic Hall. The event is sponsored by Tameside Council, Ashton Sixth Form College, Tameside College and Clarendon Sixth Form College and was organised to provide ‘have-a-go’ activities for Year 9 and 10 students from Secondary schools across the borough. It is designed to support schools in delivering effective Careers, Information, Advice and Guidance (CEIAG). Over 1,000 pupils from 12 Tameside schools attended the exhibition throughout the day. These schools include: Alder Community High School, All Saints Catholic College, Audenshaw School, Copley Academy, Denton Community College, Great Academy Ashton, Hyde Community College, Rayner Stephens, St Damians Roman Catholic Science College, St Thomas More Roman Catholic College, West Hill and Whitebridge College. Up to 45 exhibition stands were present at the event including TMBC’s very own Engineering Team (Mason Paviour) and the ICT team. The exhibition allowed pupils to engage with various businesses and learning providers to discuss their future education and career pathways. Other exhibitors with activities at the event were: Greater Manchester Police, Brother UK, Willmott Dixon, Purple Wi-Fi, Affinity Media, part of Tameside’s Digital Dozen based at Ashton Old Baths, and our local training providers and sponsors - Tameside College, Clarendon Sixth Form and Ashton Sixth Form. All the interactive activities were delivered throughout the day with the aim of engaging pupils in areas they may have not taken an interest in prior to the event. Pupils were to take part in a wide range of interactive activities including; block paving with TMBC Engineering, filming a highlights reel with Affinity Media, Virtual Welding with Tameside College, trying on riot gear with Greater Manchester Police and mixing their own beats with Ashton Sixth Form College! With the support of Council volunteers and Student Ambassadors from Tameside College, Clarendon Sixth Form and Ashton Sixth Form, the event was success! Is your business interested in supporting Tameside Council in future exhibitions? Would you like to engage with young people from the borough regarding their future careers and apprenticeship pathways? Please contact Kieran Hemmings on 0161 342 3111 or kieran.hemmings@tameside.gov.uk to express your interest. Active Tameside is a registered charity which delivers a wider range of leisure facility and community-based services that generate participation in physical activity and sport, to improve health and wellbeing, predominantly in the Tameside area. Affinity Media is a fresh and innovative video production company based in the newly renovated Ashton Old Baths which has been transformed into a dynamic creative community. They develop modern, engaging and professional videos to promote businesses or showcase events/campaigns. They have also filmed at the MTV awards! ALDI are one of the UK’s fastest-growing supermarket chains, offering a wealth of career and apprenticeship opportunities and are renowned for its training programmes. ALDI have won multiple awards and continue to open new stores across the world. 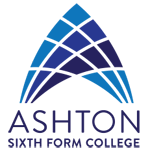 Based in Ashton-under-Lyne, Tameside, Manchester, Ashton Sixth Form College has been providing the highest quality academic and vocational education in the area. Brother UK is a supplier of technology solutions, helping businesses deliver greater productivity and efficiency through documentation, digitisation, collaboration and mobile work solutions. Brother specialises in print, scan, label and communications solutions for businesses and consumers. The Police Force responsible for law enforcement in Greater Manchester. JTL Training are a top three work-based learning provider in England and Wales, supporting around 6,000 young people across 3,000 businesses , training more apprentices than anyone else in the building services engineering sector. Juniper Training is an independent training provider who offers 16-24 year olds with opportunities to obtain the necessary skills, experience and qualifications to progress onto an apprenticeship, into employment or further education. Juniper is an alternative to College and offer a 100% progression promise to remove any barriers to learning or progression into a job, apprenticeship or further education. Manchester Metropolitan University is a modern university which drives ambition to discover and disseminate knowledge, to make higher education accessible and beneficial to all those with the passion and ability to succeed. Michaeljohn Training is a multi-award winning training provider in NVQ Level 2 and Level 3 Hairdressing, Barbering, Apprenticeships and Traineeships. North Lancashire Training Group Ltd are one of the largest training providers in the country. They deliver Intermediate Level 2, Advanced Level 3 and now Higher Level 4 Apprenticeships in a wide variety of occupations. NLTG also offers Traineeships and pre-Apprenticeship programmes tailored to suit the needs of young people. Oldham College is a Further Education College offering a diverse range of courses to the local community. OTC is an established training centre based in Oldham, which provides apprenticeships throughout Greater Manchester. Positive Steps is a charitable trust that delivers a range of targeted and integrated services for young people, adults and families that recognises the diversity of people who access these services. Purple Wifi is a UK-based technology company that offers a free Wifi platform to businesses so they can communicate with clients through targeted messaging. The Royal Navy is the UK’s naval warfare force. They have a wide range of training opportunities in various different naval careers. The Growth Company, formerly The Skills Company, help thousands of young people, adults and businesses develop their skills through; Apprenticeships, Higher Educations and Courses for Businesses. The Growth Company is the biggest provider of apprenticeships and training in the North West. St. John Ambulance is the nation’s leading first aid charity who provide training to adults and young people in homes, schools or the workplace. St. John Ambulance provide a wide range of volunteering opportunities which could lead to lengthy careers in the service. Seetec are one of the leading providers of traineeships and apprenticeships and have developed their services to meet customer needs expanding across the skills, employment, justice and health sectors. Seetec provide opportunities and support to people from all walks of life – empowering individuals to shape their own futures. Improving lives, business and communities is the driving force behind their service. Social Media Makes Sense are experts in online storytelling, generating talk-a-bility, and engaging audiences. SMMS create a presence on social media for employers and businesses to build a loyal fandom and build relationships with national & international press. They support businesses to utilise social media platforms to create effective content and generate leads. Based in Ashton-under-Lyne, Tameside, Manchester, Tameside College is a Further Education College that offers a wide range of courses including Full-Time, Part-Time, Apprenticeships and University Level. Tameside Metropolitan Borough Council is the Local Authority of Tameside and provides the majority of local Government services in Tameside. The Manchester College offers an unrivalled choice of courses for school leavers at 16 including A Levels and other level 3 academic courses, vocational programmes, such as construction, and apprenticeships. Total People is one of the largest providers of apprenticeships and work-based learning in the North West of England. They work with over 2000 employers and over 6000 learners each year and work with businesses to support on recruitment and skills development with a key focus on a whole organisation approach, return on investment and productivity. They also work with individuals to enable them to secure a first role, new role or progress in their current role or secure skills for a new role, through skills development. Willmott Dixon is a privately-owned contracting and interior fit-out group who create value for customers, stakeholders and communities by working in a sustainable and responsible way to shape the built environment and make a positive impact to society's well-being. Young Enterprise is the UK’s leading enterprise and financial education charity reaching over 250,000 young people every year. They make the connection between school and the world of work, enabling young people to develop the knowledge and attitudes they need to succeed. 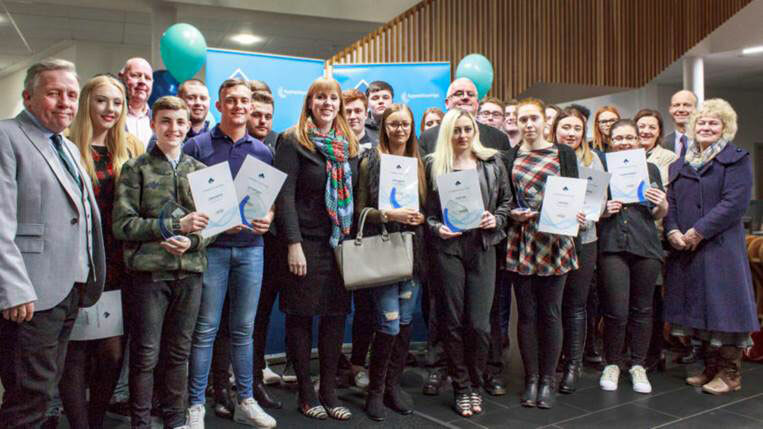 Tameside College celebrated their Annual Apprenticeship Awards on 1st March 2017 to launch National Apprenticeship Week. The council has taken action to support businesses in creating the Tameside Business Grant for Employers and Tameside YES. The business grant offers £1,500 to employers who recruit an apprentice aged 16-24 years old and to date they have created 61 apprenticeships at level two and three. The council is also reimbursing employers for 6 month’s salary if they employ Tameside residents aged 16-24 years not in employment, education or training as part of Tameside YES. Cllr Ged Cooney presented awards to the proud and delighted apprentices as their names were called, along with a thoughtful citation of why each apprentice had been nominated. Guests enjoyed champagne as families, friends and employers came together to support the nominated apprentices. The event was an opportunity to bring our Levy Paying businesses together to consolidate information, inform how to maximise their contribution, understand where there is support and answer additional queries where possible. This event provided the opportunity for Apprentice Levy paying businesses to understand how to utilise the Levy to maximum capacity and build a strong support network moving forward. Amann Group is one of the global leaders in the field of high quality sewing and embroidery threads. From universal sewing threads to special high-tech threads, Amann offers a wide range of threads for all sewing applications. been providing the highest quality academic and vocational education in the area. With offices in Manchester, Leeds and Keele, Bardsley’s diverse workload includes the construction of education facilities, medical centres, leisure and sporting facilities and homes. They also work on refurbishment and conversion projects on behalf of Local Authorities. Based in Dukinfield, Tameside, Culimeta-Saveguard Ltd manufacture a range of specialised products from advanced high performance technical fibres. Fairfield High School for Girls is an all girls’ secondary academy located in Droyslden, Tameside. New Charter Group is a housing association with around 2000 homes across Greater Manchester and Nottinghamshire. The group is one of Greater Manchester’s largest registered providers of social housing. Based in Ashton-under-Lyne, Tameside, Great Academy Ashton is a large 11-16 academy that serves the communities around Tameside and delivers educational provision. Pennine Care NHS Foundation Trust provides mental health and community services to people living in the boroughs of Bury, Oldham and Rochdale. They also provide mental health services in Stockport, Tameside and Glossop. Scapa Group is a global supplier of bonding solutions and manufacturer of adhesive-based products for the Healthcare and Industrial markets. Stepan UK Ltd is a major global supplier of surfactant technologies, providing sustainable solutions for formulations. Tameside and Glossop Integrated Care NHS Foundation Trust serves a community of 250,000 people across Tameside and Glossop. As a busy Foundation Trust Hospital, they provide a range of high quality elective, emergency and specialist services for adults and children. Recipharm is a leading pharmaceutical contract development and manufacturing organisation with a focus on supporting pharmaceutical companies in taking their products from early development through to commercial manufacturing.